eLearnCOURT is a multi-language virtual environment for the practical training in the various forms of conflict resolution. Its aim is the learning of skills related to mediation and arbitration. The tool integrates different online work spaces, both synchronous and asynchronous, where a practicum is carried out in which the students, organized in groups, take on the roles of claimants, defendants, mediators, conciliators and arbitrators, respectively, and resolve a real case. Put negotiation, mediation, conciliation and arbitration techniques into practice. Tackle the resolution of a real case on the basis of their judgement. Acquire skills and abilities in conducting a lawsuit. Develop teamwork and coordination skills. Improve their skills with the peaceful resolution of conflicts. 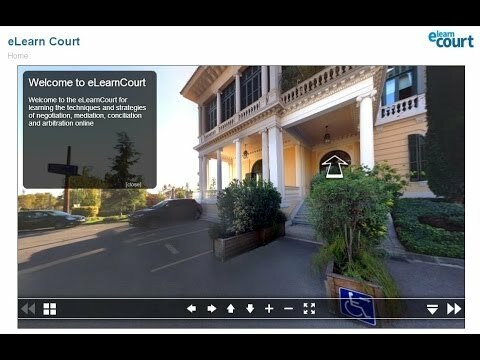 eLearnCOURT is a tool designed for higher education institutions that teach in the field of mediation and conflict resolution. It offers students the opportunity to experience a real practical conflict resolution case such as they will find in their professional career. It is a multi-language and multi-platform tool. eLearnCOURT is a particularly suitable tool for postgraduate courses with content related to mediation and arbitration, ODR master's, refresher courses and continuous training for experts. • Private and public mediation and arbitration training centres. • Associations and expert bodies in mediation, conciliation and arbitration. • Universities and university schools seeking to add mediation and arbitration studies to their portfolio or seeking to include online practice.